I know that people are often unsure as to the benefits of one on one coaching, so I thought I would write a brief blog article on the subject. I support and guide the client in discovery around what the client wants to achieve. First, I want to explain what a one on one coaching session is like. I do mine over the phone or on Skype or Zoom. A session can be done just by audio, or with audio and video. It is whatever the client prefers. The sessions are 60 mins long and the client is the one who decides what the session will be about and I support and guide the client in discovery around what the client wants to achieve. Then at the end of each session the client and I will agree upon a plan of action for the client that will take place before the next session. I help the client hold themselves accountable to that plan. I am also available between sessions to answer a reasonable amount of emails. 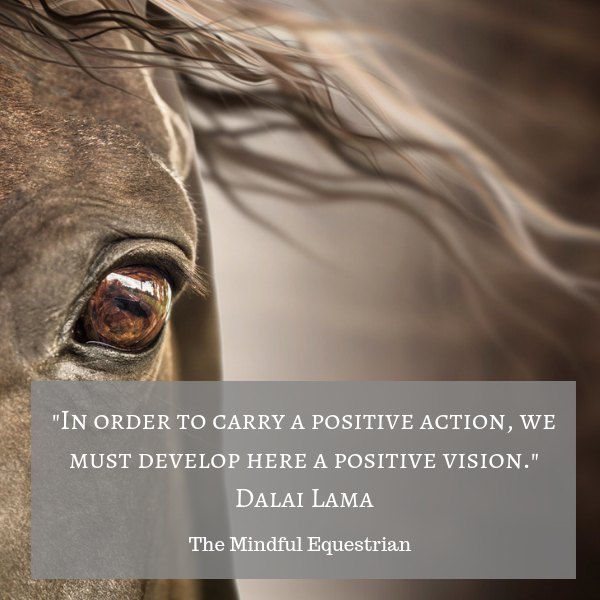 That is a general overview as to what a Mindful Equestrian coaching session is like. With my support, the client then creates a road map for the change that they want to make. This is what coaching can achieve in the long term. As a coach, I help clients find tools so they can become more aware of their mental blocks, underlying beliefs and strengths and weaknesses. I support my clients in finding clarity around what they want to change and where they want to go. I explain that research has shown that the brain is plastic and it can be rewired to change old perspectives, beliefs and habits with time, hard work and planning. With my support, the client then creates a road map for the change that they want to make. I encourage them to get unstuck and take action on their plan. As their coach, I support them through the ups and downs of their journey, holding them accountable when they get discouraged and encouraging them to keep moving forward, even if roadblocks are in the way. Coaching helps to get clients unstuck, gain confidence and create a solid plan of action. It is the combination of finding awareness, clarity and getting unstuck that really helps a client develop better metal focus and confidence in their riding. Often, without coaching support, people will do one of two things. They will either blast forward without a plan and waste time, money and energy going in the wrong direction or at the wrong pace, or they will stay stuck in inaction, due to some underlying fear or lack of confidence. Coaching helps to get clients unstuck, gain confidence and create a solid plan of action. Through the whole process the client is the one in charge of their discovery, plan and course of action. They are in the driver’s seat. I am there to help them with support, guidance and encouragement. Get one of my 3 one on one coaching packages at a 15% discount!! !